New Jersey Party Rentals are a blast with Circus Time Amusements. 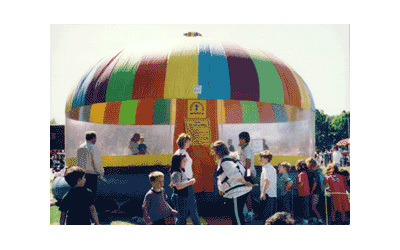 Inflatable Games, Mechanical Rides, fun foods and more! Visit https://circustime.net for more info. Party Rentals in New Jersey- Why Settle For Less When You Can Have More Fun With Circus Time? Are you considering party rentals in New Jersey? When you think about fun what comes to mind? Well, yes, bouncy castles, moonwalks and bouncers are the most common and kids love to hop on one and bounce their hearts away! However, Circus Time Amusements offer more than just bounce houses and bouncers. With more than 25 years of providing quality amusements, Circus Time has gone beyond the normal and created cutting edge pieces of entertainment and amusement items for kids and adults alike. Obviously Circus Time is more than bounce houses, but you might be surprised at some of the entertainment items they offer. Things like mechanical rides, interactive games, obstacle courses, slides, toddler attractions, water fun, carnival games, photo booths, arcade games, novelty arts and crafts. Circus Time even offers attention getters like flyguys and flying tubes! Circus Time Amusements started way back in early 1986 and has shown tremendous growth, becoming one of the one of the most remarkable providers of fun and entertainment in New Jersey. in fact, Circus time is one of the largest full service amusement rental companies of its kind in the Tri-State area. Even with a wide variety of bounce houses and combo bounces to choose from, there is no doubt that each game comes with that distinct touch and quality that only Circus Time provides. When you’re tired of the same old games, it’s exciting to be able to choose new quality items for your events throughout the year. Have you ever wondered what it feels like to grit your teeth as you bounce on a belly of a bear or perhaps get lost in a prehistoric adventure? When you rent the T-Rex Jurassic Adventure kids, get to use their imagination while they climb, bounce AND slide! Planning a big crowd? The Super Bounce is the largest and most popular bounce offered by Circus Time and it’s great for crowds. Since most companies offer smaller bounce houses, it’s a real treat for many events to have a bounce house of this size. Planning a themed event in New Jersey? Consider the Buccaneer Pirate Ship, Carousel Bouncer, Castle Bouncer, Clown Bounce, Disney Bounce Playhouse, Fire Truck Bouncer, Fun House Combo, Jungle Bouncer, Kids Coral or Pirate Bounce. And that’s just a sample of the themed bounce houses. Circus Time also offers exciting inflatable slides and for the water lovers, the water slides like the Big Kahuna, Captain Hook’s Water Slide, Niagara Water Slide and Lava Rush Water Slide offer a fun and cooling experience! Want something other than inflatables? Circus Time has loads of rides like the Airwolf helicopter ride, Berry-Go-Round, Carousel Ride, Fire Engine Ride and the Ferries Wheel. Of course, EVERYONE loves the extreme sports games. Try to defy gravity with the Eurobungy! Take flight and sore up to 25 feet in the air and experience a “high” that you have never felt before. 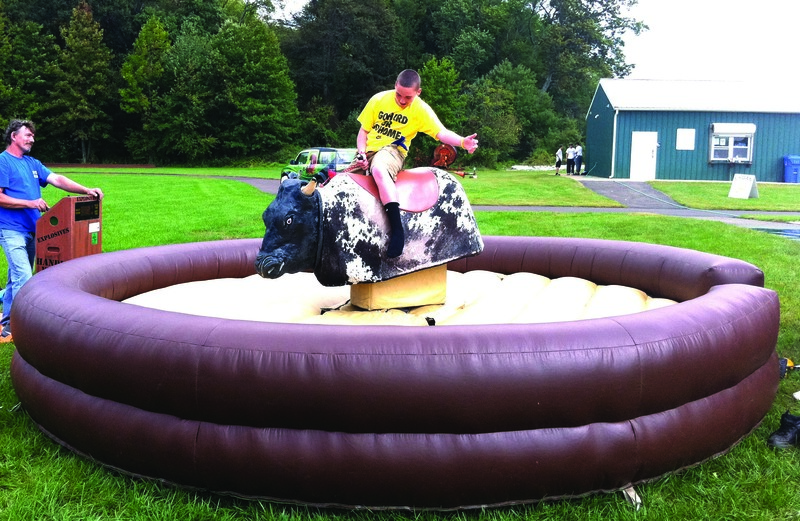 Or offer your guests the ultimate rodeo experience as they ride on a Mechanical Bull. It’s as fun as riding the real thing….but much much safer! And Circus Time isn’t just about fun…it’s about safety too! Circus Time’s professional services include delivering, setting up and coordinating the fun and monitoring it all the way with their highly-trained in-house staff that are licensed RCMT’s (Recognized Certified Maintenance Technicians) issued by the State of New Jersey. So when you’re looking for Party Rentals in New Jersey, why settle for less, when you can have more with Circus Time Amusements? When it comes to rest, recreation, fun and amusement , go to the experts in bringing smiles and laughter to both children and adults – Circus Time Amusements!